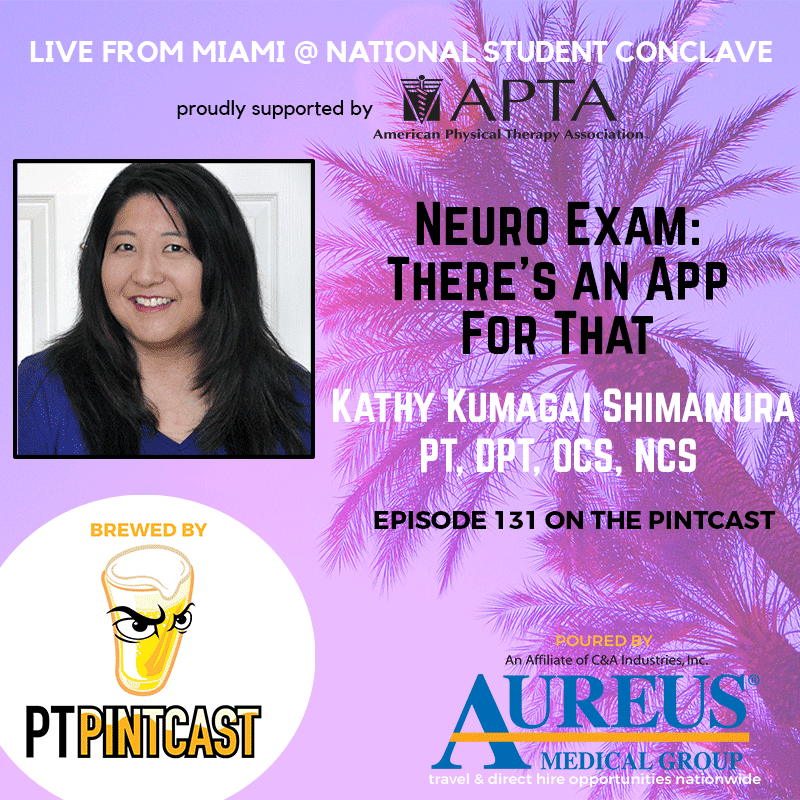 In this episode, Jimmy interviews Kathy Kumagai Shimamura at the National Student Conclave about her recently developed app, Neuro Exam. Dr. Kathy Kumagai Shimamura is an Associate professor at Azusa Pacific University where she is the primary instructor for the Neuro-rehabilitation curriculum. She is a board certified clinical specialist in both neurology and orthopedics. She completed the Kasier Permanente Orthopedic residency in 1996 and has stay on as clinical faculty for the Movement science, Spine and Sports fellowships. She is a certified strength and conditioning specialist and a fellow of the American Academy of Orthopedic Manual Physical Therapists. Lastly, she is a contributing author for the APTA Clinical practice guideline committee for post-concussion rehabilitation. (1:47) Why do you come to a conference like this? (3:40) So what is your app and what does it do? (5:53) What platforms is it available on? (6:21) What is the website associated with your app? (6:39) What have you learned by creating an app? (8:49) What have you learned from students being exposed to your product? (9:31) Coming to a conference like this as a PT/Educator, what do you get out of being surrounded by students? 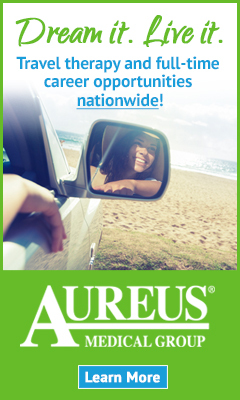 (10:39) If you could practice anywhere in the U.S., where would it be? (11:29) What is something you’ve recently read that you really liked? (12:07) Who is someone else in the world of physical therapy that we should know about? (14:40) How do we search for the app?